The university offers more than 200 online courses each semester including major courses for undergraduate programs listed here. Undergraduate degree completion opportunities are available for Bachelor of Elective Studies (BES) and the Associates of Arts (AA) and Science (AS) degrees. 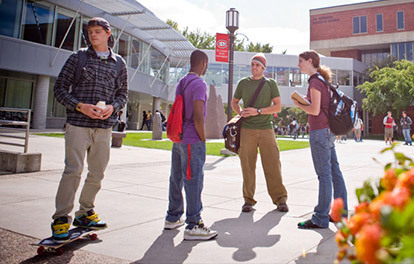 To comply with federal and state regulatory requirements St Cloud State University will not enroll students who are planning to study online while maintaining physical residence in Massachusetts. When applying for admission, students wishing to major in Secondary Education fields should indicate a major in the content area they hope to teach. Liberal Arts & Sciences A.A.